After writing a policy argument on how to respond to depression among college-aged students on campus (an argument that included a section on how difficult it is to recognize the signs of depression), this student created a poster using a simple but elegant design in MS Word. 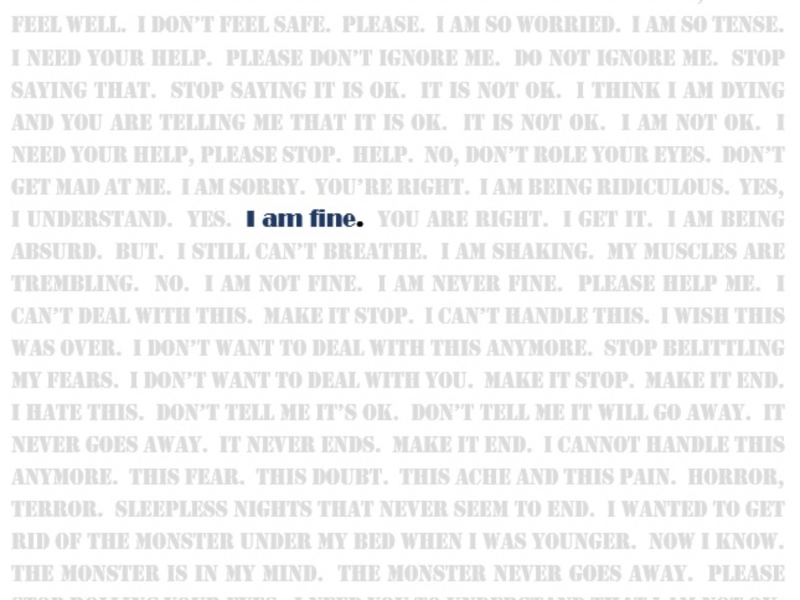 Using only text, color, and font manipulation, she argued that often, the people who most need help hide their vulnerability. She communicates the urgency and difficulty of this complex problem.